November Workshop 2013 (L-R) Mirv Gohn, Don Irvine, Mark Wandel, Isaac Murray, Roberta Murray and Adrian Vaughan. 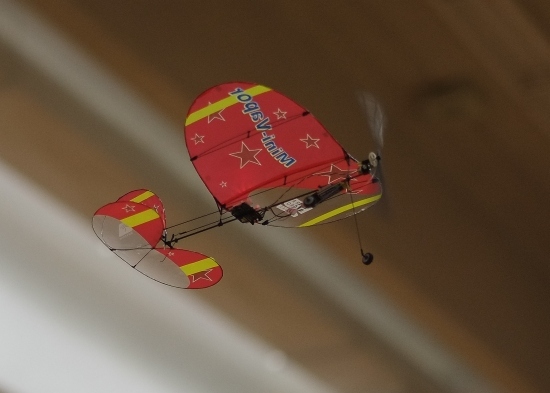 The Augusta A109, in US Coast Guard livery is an Align kit with a T-Rex 450 chassis and a four blade head. 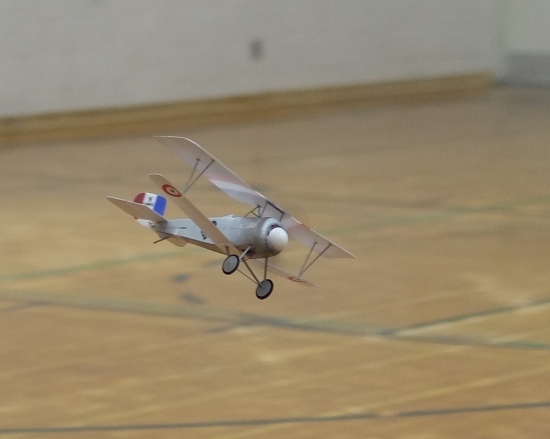 Nieuport 17 flown by Henry, an EMFSO Junior member at Huron Micro Indoor.